Isalayam Ashram celebrated Guru Poornima with dignitaries, devotees and students at the Isa Viswa Vidyalayam on July 27, 2018. The Hon. Governor of Mizoram came by to inaugurate the program and to pay his respects to Swamiji. “Today’s society sees a sad increase of neglect and disrespect of elders, owing to a lack in proper education. Education institutions should not be for making engineers and doctors, but for making real human beings,” said the Governor of Mizoram, His Excellency Kummanam Rajasekharan in the Inaugural Address. He admired Swami Isa's work in both schools and informal education. Sri. 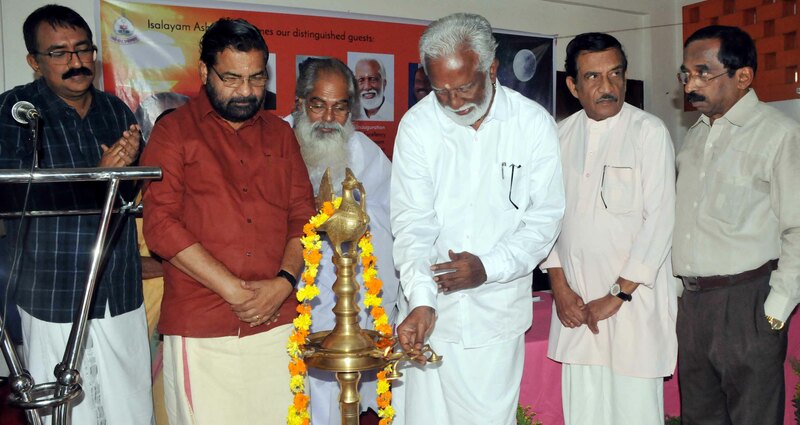 Kadakampally Surendran, Minister for Tourism & Devaswom for Kerala spoke with admiration for Swami Isa’s promotion of both science and spirituality. He launched a new Yoga Teacher Training Program (Non-Residential) of the Isalayam Ashram. The Minister noted that the Ashram has been teaching yoga for more than 20 years and its trained LTC Yoga teachers give classes as a service to refugees, prisoners, the elderly, children, slum dwellers, etc. in many parts of the world. Prof. Armoogum Parsuramen, the former Minister of Education for Mauritius and former Director of UNESCO, was presented with the Charter of the new GEP Centre for Mauritius. He highly appreciated Swami Isa’s method of education, “Education for Total Consciousness,” for its practical methodology for solving contemporary educational deficiencies. "Total education is the need of the hour," said Holiness Swami Isa in the Invocation Address. "Education must bring the object and subject together for it to be meaningful." "Child, parent and teacher form a sacred trinity in education," Swamiji also said. Padmasree G. Shankar, Founder of Habitat Technology Group, in his Presidential Address, spoke of his long association with the Isa Viswa Prajnana Trust and the Global Energy Parliament, and about his experiences in Mizoram. Many other distinguished guests were in attendance of the program, notably Shri. Ashok Kumar Aggarwal, President of the Yoga Federation of India, Prof MG Sasibhoosan, Former Director of Vyllopilli Samskriti Bhavan, and Dr K Prasanna Moorthy, president of Seva Bharati. The Governor and guests had breakfast at the Ashram, and stayed for the beginning of the Matr-Pitr Puja which Swami Isa was presiding over with the students of Isa Viswa Vidyalayam and their parents.